Pat, clap, jump, spin! 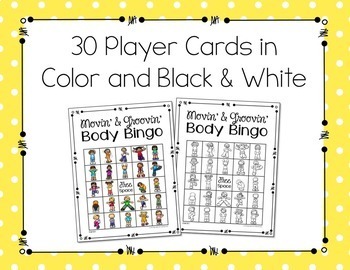 A different take on bingo - are you in? 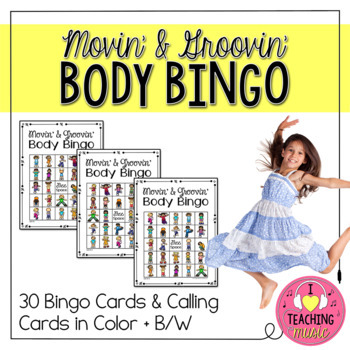 Movin' & Groovin' Body Bingo not only encourages your students to identify body parts and body movements; it also gives them a chance to work off some of their extra energy. 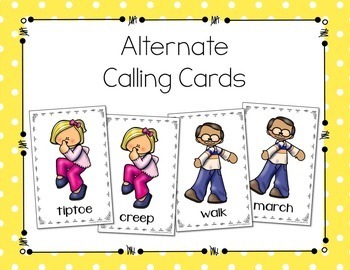 Plan it around a lesson on body percussion, use it as a brain break, or leave it for a sub! 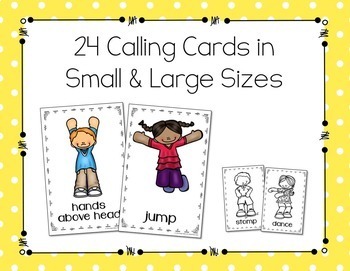 Bingo Patterns: Animated Visuals + Bonus Printables!